The protected area is called the Madidi National Park and Natural Integrated Management Area, and is adjacent to the 400,000-hectare Pilón Lajas Biosphere Reserve and Indigenous Territory. 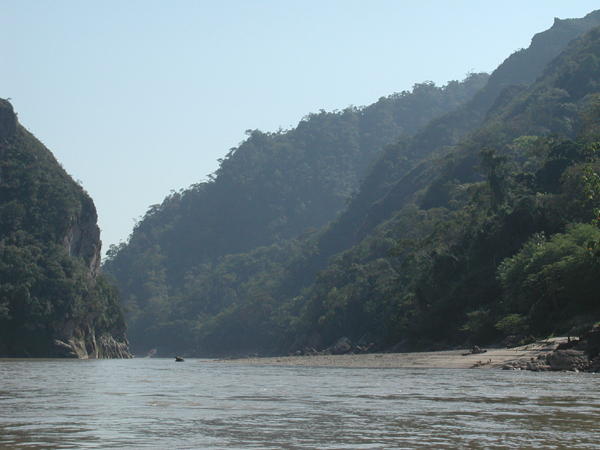 In addition to their natural wealth, these side-by-side protected areas are home to Tacana, Tsimane and Moseten indigenous people. But to some, these reserves and their environs represent untapped economic opportunity. They hold land and natural resources Bolivia could exploit more fully. That view led to the 1998 proposal of major infrastructure investments in and around the Madidi and Pilón Lajas protected areas. In this report, CSF focused on three major infrastructure proposals in an attempt to determine what trade-offs, if any, there are between economic development and nature conservation in the region and what sort of infrastructure is appropriate for the area. To do that, we used traditional economic analysis, as well as tools of environmental economics. The projects analyzed are the proposed Bala dam on the Beni River, a proposed road from Apolo to Ixiamas, via Tumupasa, and paving and extension of a road from San Buenaventura to the Peruvian border at Puerto Heath. This analysis found that none of these projects is economically beneficial, even before considering environmental costs. The Bala dam investment would stand at most an 11% chance of breaking even or better in financial terms and would have at most a 19% probability of economic viability. Its financial losses would likely be between $293 million and $1.011 billion in net present value (NPV) terms. The Apolo-Tumupasa road would produce a NPV of around negative $16 million and the San Buenaventura-Puerto Heath road would lose an additional $25 million. In per capita terms, the total loss from this suite of projects could top $137 for every Bolivian citizen. 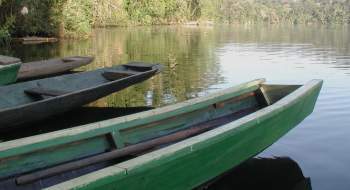 There is, therefore, no trade-off between these particular development projects and environmental protection: Bolivia would save money by leaving the ecosystems of the Madidi-Pilón Lajas area alone, or pursuing very different development plans. Similar factors are responsible for the negative results in all three case studies: First, the Madidi-Pilón Lajas area is an area with low population density and very limited access to large domestic or international markets. As a result, large-scale infrastructure investments do not have sufficient beneficiaries or stifled economic potential to offset their considerable costs. Massive colonization could potentially change that, but agricultural colonization is discouraged by the new land use plan for the area due to poor soils, legal considerations and significant environmental values. CSF published a new study on the roads in 2006.